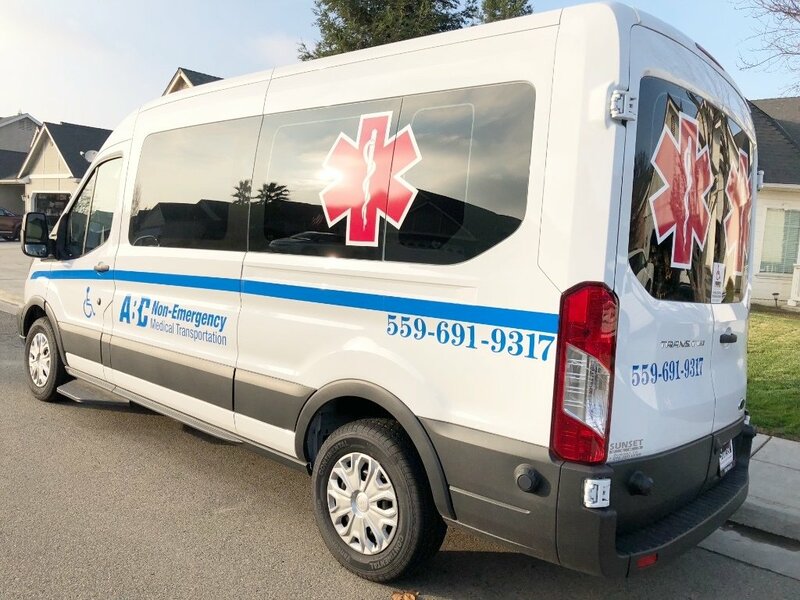 -Our Non-emergency transportation is a highly dedicated experienced and reliable company that services the areas of Fresno, Clovis, Madera, Visalia, and Handford. 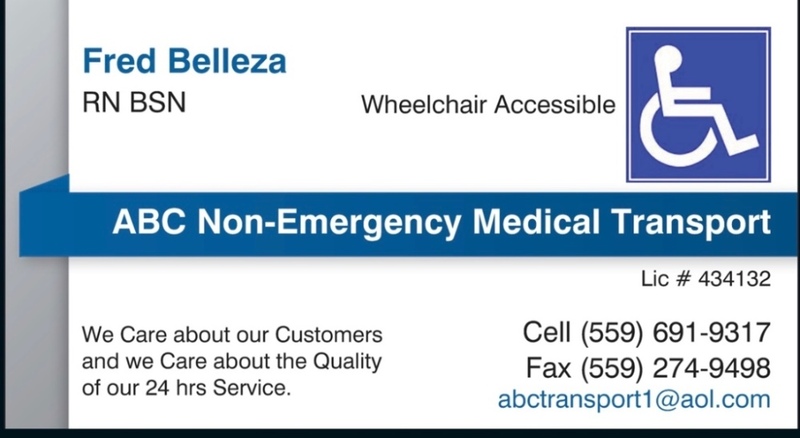 ABC Non-Emergency Medical Transportation all started with a dream of helping others by transporting patients that are unable to get around on their own to places that the desire to go. This dream later became reality when the owner of the business, Fred Belleza decided to put together plans and ideas to make his business a success. With plans of having 24/7 transportation from short journeys to long to ensure patients are able to get there on time whenever and wherever they need to go in the Fresno, Clovis, Madera, Visalia, and Handford areas. We also do anything to make sure that the patient we are transporting is satisfied and receives the highest quality of patient care that we can serve. 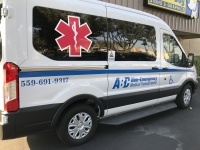 It is the mission statement of ABC Non-Emergency Medical Transportation, LLC to provide the residents of all the cities in which we serve the highest quality patient care and service excellence. As well as to someday expand our areas to transport beyond of Fresno and Clovis so that we could transport patients no matter how far their hospitals may be near or far. 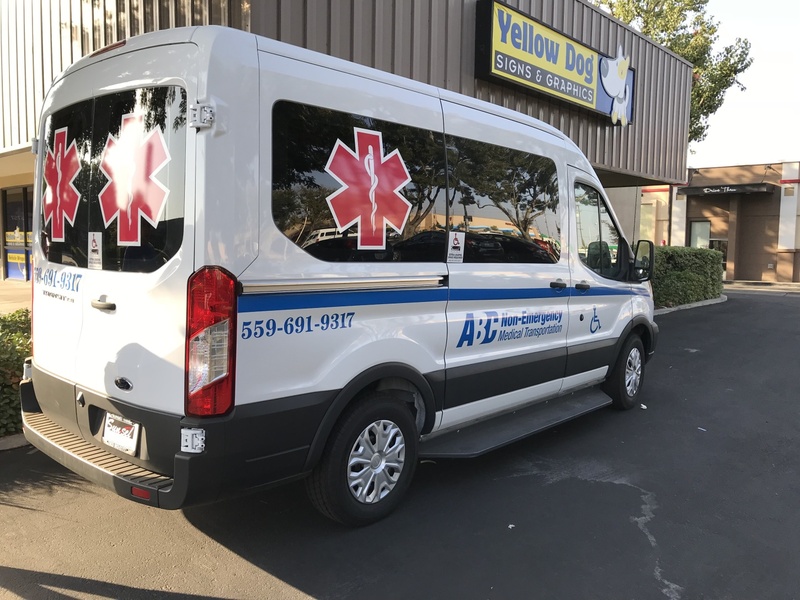 Our company will focus its efforts on responding safely and in a timely manner to any and all request for Non-Emergency Medical Transportation such as activities, medical appointments, dialysis, chemotherapy, physical therapy, discharged from the hospital and more. We're always listening to your ideas! Patient safety always come first!